You’re “on LinkedIn,” as they say. You’ve got a Facebook company page up and rocking. Your corporate Twitter is firing on all cylinders, hashtagging up a storm (on brand, always). Among other things, these five business-friendly social media and web directory sites whose audiences — captive or otherwise — don’t entirely overlap with the “Big Three” business social properties. Here’s why you need to be on each, and how to get there without isolating key audience segments. 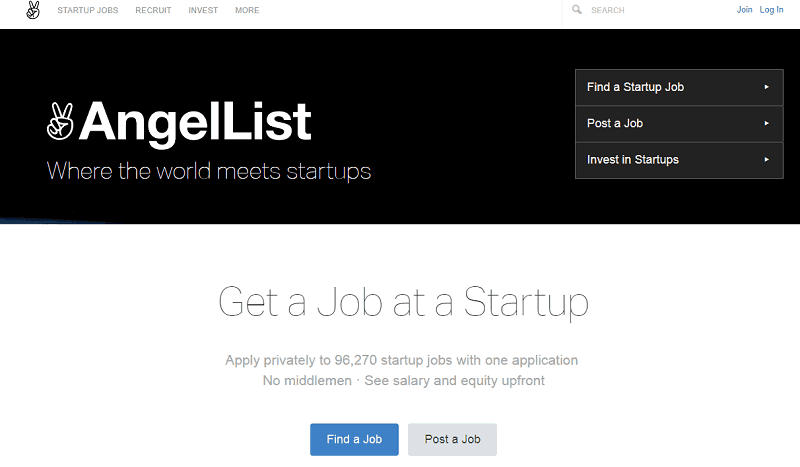 Angel.co is first and foremost a job posting site for startup gigs. It’s frequented by entrepreneurial types looking to hitch their wagons to the next unicorn — or, failing that, add a line or two to their CVs. With a narrow but highly motivated audience, Angel.co generates unusually high-value leads. That’s great news for the companies that bother to create Angel.co profiles (and listings, if applicable). If fast-growing companies like Instacart and SeatGeek feel this way about Angel.co, maybe it’s worth a closer look. Crunchbase is another directory site, albeit with a wider and more equanimous purview. This is a great place to highlight the pedigrees and accomplishments of your company’s key leaders. The Crunchbase profile for film producer David Mimran is a great example: as one half of the leadership team at Mimran Schur Pictures, Mimran is a man worth knowing, even if he never appears before the camera. Surprised? It’s not just for recipes anymore. 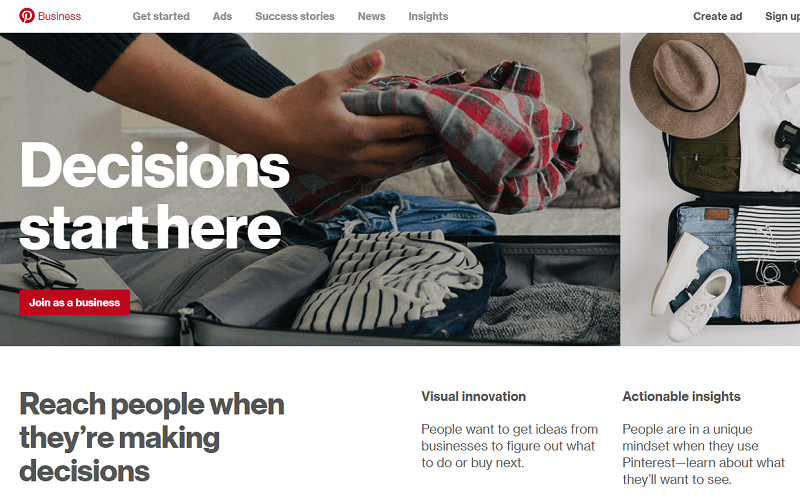 These days, Pinterest is a powerful social marketing tool that’s tailor-made for influencer-driven campaigns. Once you’ve created a halfway decent Pinterest page, seek out talented pinners whose interests align with your own and see if you can’t come to a mutually beneficial arrangement. Another surprise — unless you’ve been paying close attention to Instagram for the past couple years. Even if you don’t use Instagram to market to decision-stage prospects, it’s fantastic for showing off your company’s looser, human side. Don’t be afraid to mix business and pleasure (within reason) on your corporate Instagram handle; those stunning sunset pics aren’t going to share themselves. Nothing like saving the biggest surprise for last, right? Okay, maybe this one isn’t a surprise if you have a teenager in the house. In truth, Snapchat has long since flown its youthful coop. It’s a slightly less stuffy version of Instagram, at this point — and it has the business bona fides to prove it. Don’t believe it? 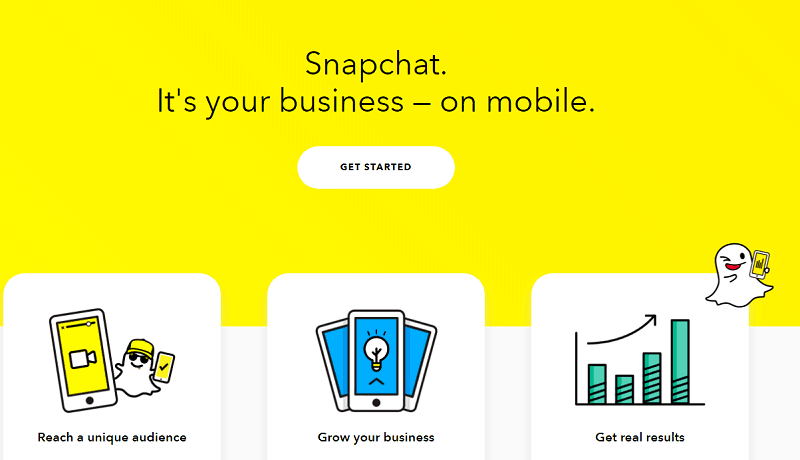 Take a spin around Snapchat for Business and see for yourself. Whether you’re keen on a full-screen ad (old school! ), a tasteful filter, or an edgy lens, Snapchat’s advertising products are remarkably varied (and remarkably lucrative). Social media giveth; social media taketh away. It’s up to you to ensure that you stay well within the guardrails of polite discourse and audience-appropriate branding, no matter how feisty your followers get or how dire a particular brand threat grows. Remember: for many of your customers, your social media properties are your corporate (or personal, or both) brand. All it takes is one misstep to sever the bonds of trust. Wonderful Post and list of some good Business directories. I am a big fan of Crunchbase and it is very intuitive to use it. The listing gets activated instantly. Thanks for sharing these sites with us all. Getting word of our company is the key to the success of the company when it comes to small business. Local and national business directories help us a lot for that and SEO will help in getting site rank higher on search engines increase promotion customer and expert reviews and much more.